So I was all ready for the Niles Park District’s Monsters Ball. I am doing a storytime for a big crowd, and I realized, I never decided on a costume. I had to run over to Constructive Playthings anyway, and thought I might find a very simple costume. I did! 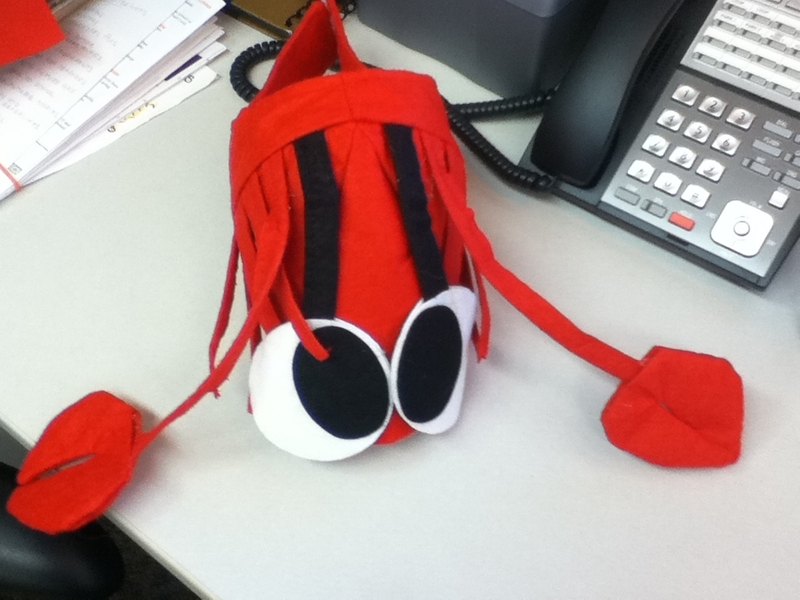 They had this awesome crab hat. “CUTE” I squealed. Unfortunately, I am not wearing red today. When I got back to the library, I decided I wanted a little more oomph for my ensemble. 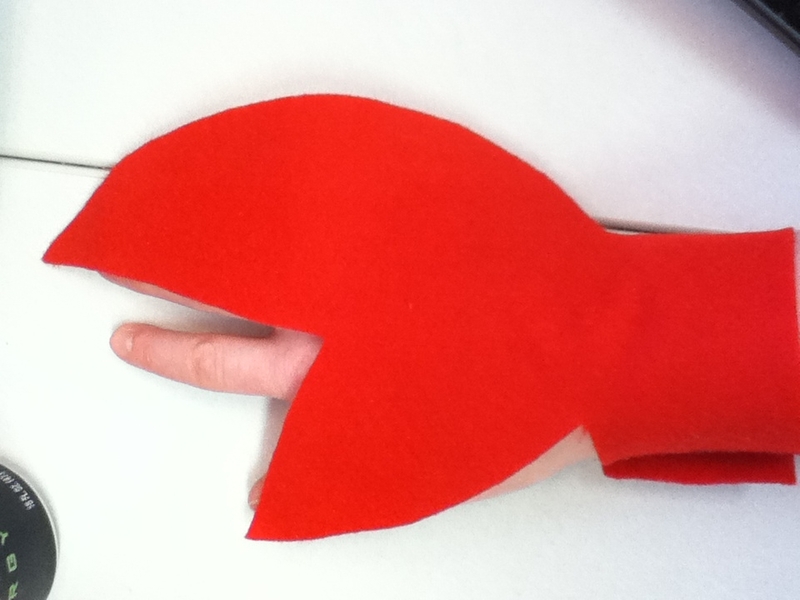 So I made some claws out of felt. Each one is cut from a single piece of felt. The claw fits over my hand, and then the strap goes around my wrist, and is closed with velcro dots. Easy peasy! And following in Mel’s footsteps, I’ll include a crab claw pattern. Mollie is the hostess with the mostest this lovely October evening. Categories: Flannel Friday | Tags: halloween, pattern | Permalink.